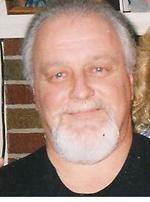 Gary Eugene Latimer, age 62 of Hayesville, OH., passed away Friday, May 18, 2012 at Hospice House of North Central Ohio. On January 27, 1950 in Ashland, OH., Mr. Latimer was born to the late Charles and Florence (Heffelfinger) Latimer. He had been a resident of Ashland Co. most of his life, formerly working at Volvo-GM. Mr. Latimer served with the US Army during the Viet Nam Conflict and formerly attended the Calvary Baptist Church. He loved riding his Harley-Davidson Motorcycle and spending time with his family, friends, and dogs. On February 13, 1998, Mr. Latimer married Viola Fieg who survives. Also surviving are three sons and a spouse: Jeremy Latimer of Mansfield, OH., Brad and Amy Baker of Kilbuck, OH., Douglas Fieg of Ashland; two daughters and a spouse: Carrie and Larry II Cunningham of Ashland and Angela Marsh of Mansfield, OH. ; twelve grandchildren; and a brother and his spouse, Larry and Clarita Latimer of Ashland. Mr. Latimer was preceded in death by his parents and an infant brother, Robert.